For those of you who have followed my Instagram, you may have noticed that Kent and I recently spent some time in New York City (NYC). We are now back in Sydney and are able to tell the tale. 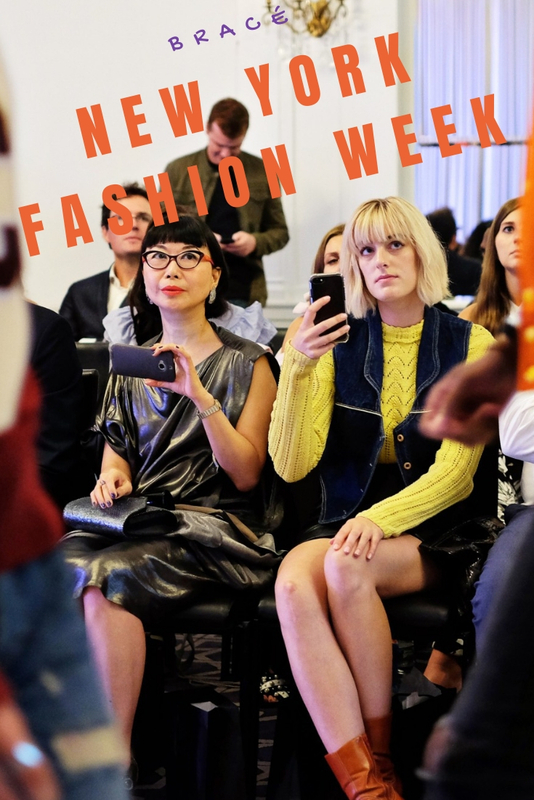 Not only did we enjoy the American hospitality, we were invited to attend a variety of New York Fashion Week (NYFW) runway shows (read Kent’s coverage here). 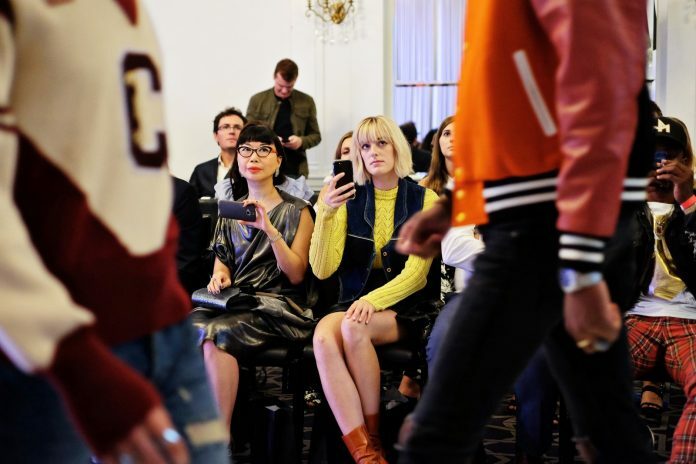 This post is about what we saw at the closing show of Bracé Designers Émergents De La Mode NYFW, which took place at Midtown Manhattan’s Stewart Hotel. What Is Bracé Designers Émergents De La Mode? Clockwise from top left: 1) Bracé fashion PR Empress Blue greets the crowd. 2) Kent ready for action in the front row seat. 3) Seating arrangement by Young Mogul Media’s Brian Phillips. 4) Showing my appreciation! 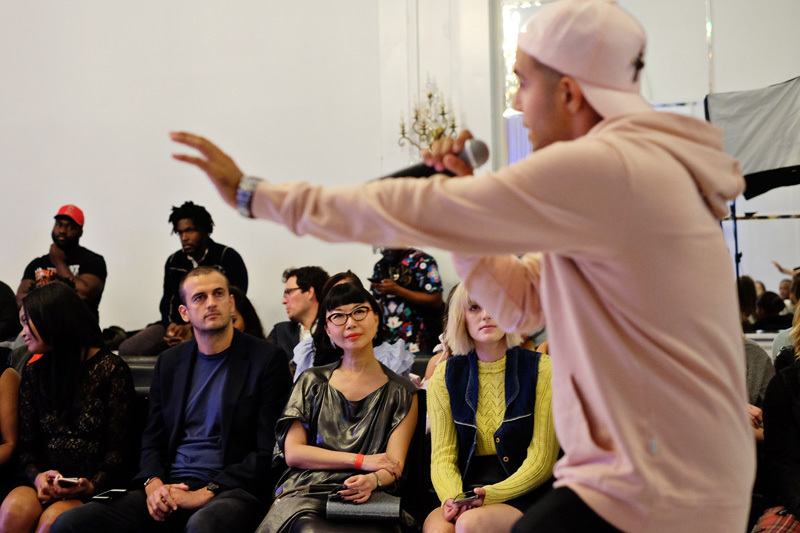 Bracé Designers Émergents De La Mode is an exclusive and supportive platform for emerging American fashion designers. It helps in connecting designers with buyers, fashion photographers; manufacturers, retailers; models and of course, the media and press which includes bloggers. 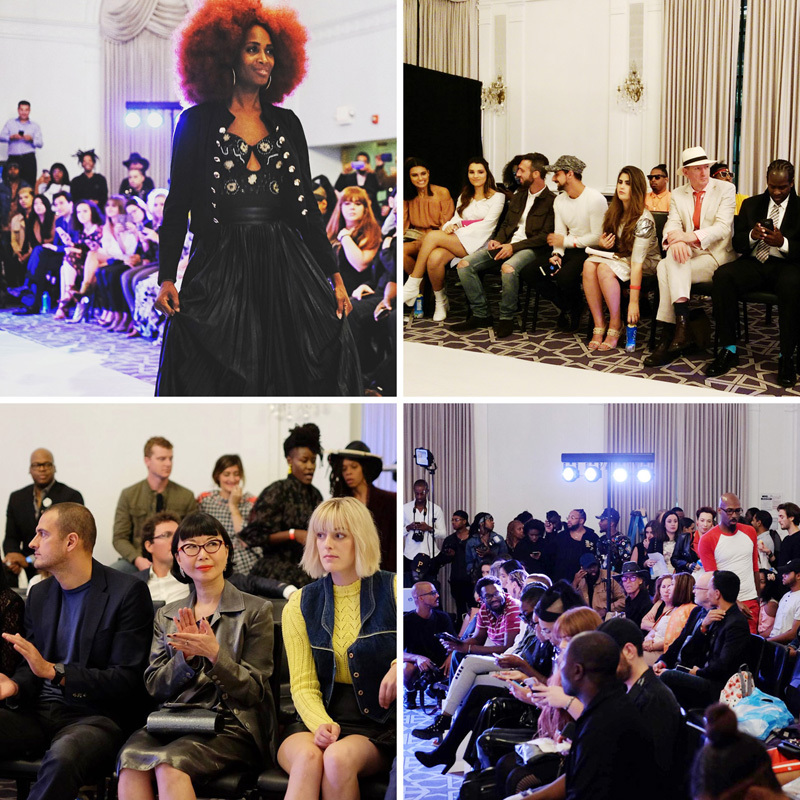 We attended both the 6pm and the 8pm runway shows at the stylish Stewart Hotel. We sure loved our front row seats and let me tell you, the energy was amazing that night and I felt the love and support from the Bracé team to the talents. And thanks to Kent who captured the energy and the movement from the runway. Love the pictures, well done Kent! 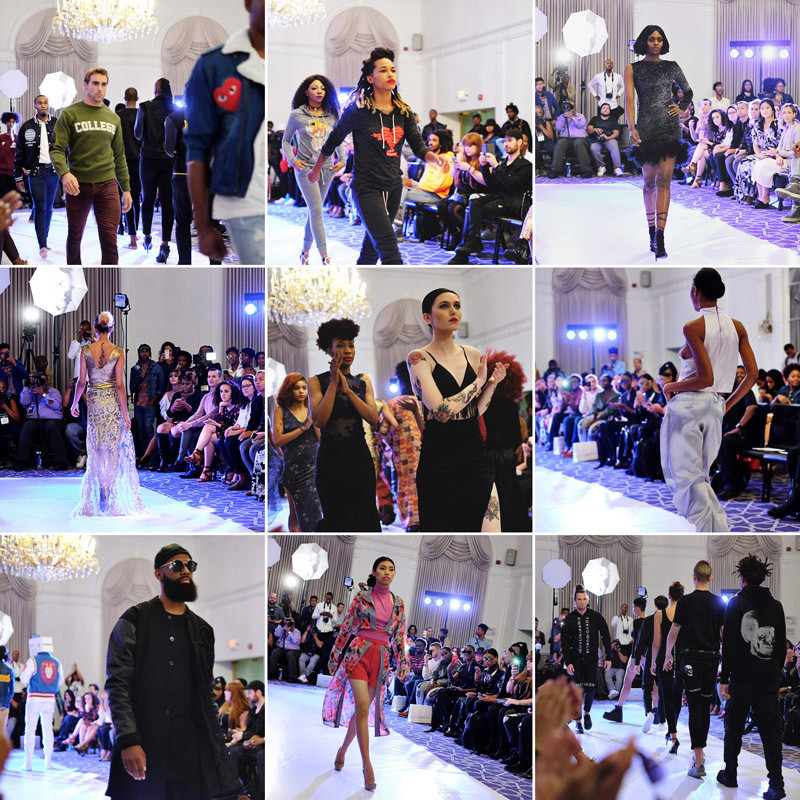 More than just a fashion parade, as we were spoiled by one entertainer after another between each label’s showcase; from Good Life singer Xavier to Hip-hop/rap teenage sensation Kandi Reign and many more talented performers who helped to create an exciting and unforgettable evening. This experience has been among the highlights of my recent visit to NYC. In my coming post, I will reveal the details of my Outfit of the Night (OOTN) for Bracé NYFW! Such an interesting concept, and Viv, you look super stylish as always:) Gorgeous photos too! What a wonderful opportunity to see fashion’s creations! Thank you so much Vivienne I truly am grateful for you attending the show. I will make sure you and your team have all access to every show we have to come in 2018. Thanks for this terrific post! I adore New York and its fashion, would love to see more posts like this!